Whether you are planning to explore a new destination with kids or going on a romantic weekend getaway to your favorite town, you will probably get hungry on the way and decide to stop for a burger. Surveys show that burgers are a favorite fast food option when traveling. Our list includes famous chains with locations all around the United States, as well as smaller local chains, all with passionate founders serving delicious meals to burger fans. In the 1970s, the Culver family often made trips to Milwaukee, Wisconsin to enjoy their favorite treat: creamy, frozen custard. In July of 1984, the family decided to produce and sell their own frozen custard at Culver's, their newly opened restaurant in Sauk City, Wisconsin. Along with its famous custard, Culver's is known for its thick, juicy butterburger. Classic dishes like fish n' chips, cheeseburgers, and fresh french fries are also part of Culver's menu. In 1990, Culver's became a franchise and opened a large training center a mile away from the site of the original Culver's restaurant. 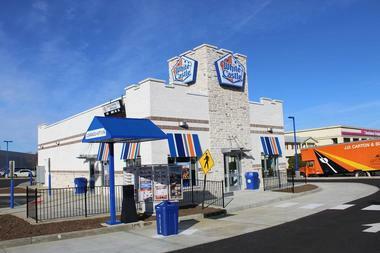 Now, Culver's caters to customers all throughout the United States. Whataburger was founded in 1950 by Harmon Dobson, an entrepreneur who wanted to create a burger so tasty that customers would exclaim “what a burger!” after their first bite. Whataburger customers can choose to have one, two, or even three thick, juicy patties on their hamburger. The menu also features several specialty burgers, including the Jalapeño and Cheese Whataburger and the Avocado Bacon Burger. For non-beef eaters, Whataburger has a wide selection of chicken dishes and several healthy and hearty salads. 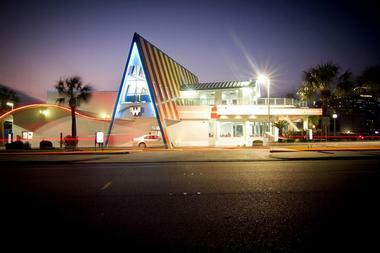 Whataburger has restaurants located throughout the Southern United States. White Castle began with a 5-cent hamburger that was sold out of a castle-shaped restaurant in Wichita, Kansas. Since 1921, White Castle's Original Slider—a 2x2-inch burger with pickles and onions—has been a customer favorite. Now White Castle serves sliders topped with bacon, cheese, jalapeños, and egg. The sliders are also available with fish or chicken instead of beef. For larger groups, White Castle has Castle Packs and Crave Cases filled with sliders and tasty side dishes such as French fries, chicken rings, and Fish Nibblers. Try a brownie on a stick or cheesecake on a stick for dessert. 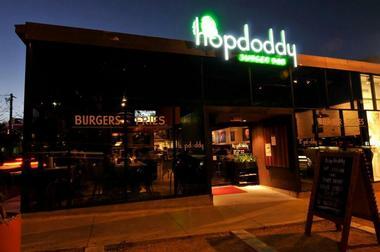 Hopdoddy Burger Bar has restaurants across Texas, California, Arizona, and Colorado. With its extensive list of carefully crafted burgers and flavorful beers, it's no wonder that TV chef Rachael Ray crowned a Hopdoddy burger as one of the best in America. A sampling of Hopdoddy's fancy burger toppings includes arugula, basil leaves, feta cheese, and caramelized onions. Hopdoddy even has a burger that features a built-in donation: one dollar of each Good Night/Good Cause burger order goes to funding the Lone Star Paralysis organization. Lastly, Hopdoddy has plenty of salads and side dishes guests can order to complement their main meal. The first Wendy's restaurant opened in 1969 in Columbus, Ohio. By 1980, more than 2,000 Wendy's restaurants dotted the United States. 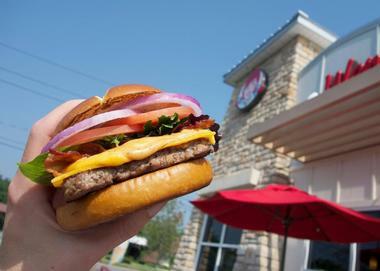 With quality as its focus, Wendy's has managed to become a leader among fast food companies. Its menu includes a variety of cheeseburgers, hamburgers, wraps, sandwiches, and salads. Wendy's routinely introduces specialty items to its menu, including the Asiago Ranch Chicken Club and the Gouda Bacon Cheeseburger. The Right Price Right Size menu has delicious burgers, chicken nuggets, and sides for between $1-$2. With more than 6,500 restaurants worldwide, most major cities have multiple Wendy's franchises. 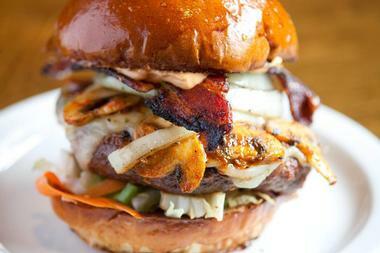 Unique among burger establishments, The Counter Burger allows patrons to customize every aspect of their meal. Their high-quality burgers are made with premium ingredients like figs, jicama, feta cheese, grilled pineapple, and onion marmalade. Visitors begin by selecting their meat, and then they move on to choosing cheese, a sauce, toppings, a bun, and a side dish. 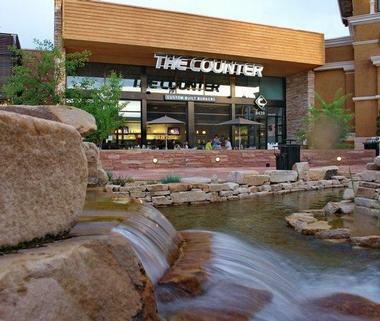 The Counter Burger also serves burger salads that include all of the typical hamburger components except the bun. Non-meat eaters can order one of the Counter Burger's deluxe salads or fresh sandwiches. The Counter Burger has restaurants in 10 states and also operates in Malaysia, Ireland, Saudi Arabia, and the United Arab Emirates. The Twisted Root Burger Co. began after years of hard work and culinary schooling by its founders. Chef Jason and his partner Quincy Hart opened their first store in 2005, and now a total of 15 stores operate throughout Texas and Louisiana. Twisted Root Burger Co. sells 11 unique burgers topped with a variety of cheeses, vegetables, and sauces. If you're not a fan of beef, you can substitute the beef patty in all of their burgers with elk meat instead. Twisted Root also has a variety of deep-fried items for sale as side dishes, like pork skins, green beans, and pickles. Entrepreneur and philanthropist Ted Turner founded Ted’s Montana Grill. The first Ted's Montana Grill opened up in Ohio, but now there are restaurants in almost 20 states. Ted's Montana Grill is known for having the biggest bison menu in the world. Bison nachos, bison chili, and bison burgers are a just few examples of authentic Western-style foods listed on the menu. For main dishes, guests can choose from the grill's selection of loaded burgers, thick steaks, and hearty sandwiches. Vegetarian dishes such as specialty salads are also available. The first A&W was a small stand in Lodi, California that Roy W. Leonard opened to celebrate the homecoming of World War I soldiers. The year was 1919. 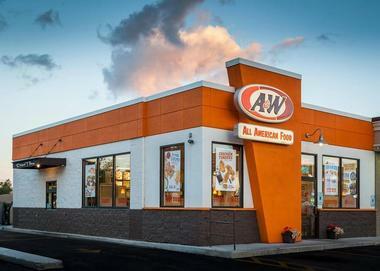 Now a worldwide franchise, A&W currently operates more than 1,200 restaurants, and 350 of these establishments are located outside of the United States. Known for its all-American food, A&W serves mouthwatering hamburgers, freshly-made cheeseburgers, hot dogs loaded with tasty extras, and their signature A&W root beer floats topped with thick vanilla ice cream. A&W also sells classic side dishes like fries and onion rings. Frozen treats such as ice cream sundaes and thick milkshakes are also part of A&W's menu. More great places to visit in California: Santa Monica, Newport Beach, Santa Barbara and Oceanside. 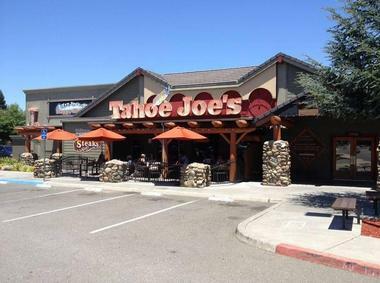 Tahoe Joe's is a steakhouse with 10 locations throughout California. 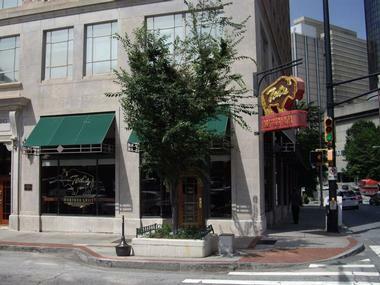 It is a sit-down style restaurant that offers an extensive selection of beef, chicken, pork, and seafood dishes, all of which are seasoned with a unique blend of spices and herbs. Steak lovers can choose a main dish from Tahoe Joe's list of steaks, which vary in weight from 5 ounces to 22 ounces. Each freshly cooked steak comes with two side dishes of your choice. For non-meat eaters, Tahoe Joe's also has plenty of unique salads and pasta dishes. Finish off your meal with a large slice of cheesecake or a piece of Tahoe Joe's signature six-layer chocolate cake. The first Sizzler Family Steakhouse opened in 1958 in Culver City, California. Since then, Sizzler has grown into an operation with more than 150 restaurants in the United States. Each Sizzler restaurant follows the same format where guests arrive, pay for their food in advance, and then enjoy endless access to Sizzler's famous salad bar. More than 50 items including burgers, hot appetizers, tacos, soups, deserts, fruits, and vegetables are part of the salad bar, which Sizzler's guests can visit while enjoying their hearty main dishes. The menu contains almost 20 meals to choose from. Founded in Mt. Shasta, California, Black Bear Diner is known for its hearty home-style meals. The diner serves breakfast, lunch, dinner, and dessert, and it has its own “cubs” menu for kids. In addition to great burgers, Black Bear serves classic comfort food dishes like fried chicken, beef pot roast packed with fresh vegetables, and deep-dish chicken potpie. Side dishes like thick onion rings, French fries, and corn bread muffins are available as extras for each dinner plate. 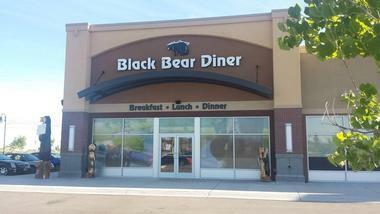 Black Bear Diner has multiple locations throughout the Western United States. 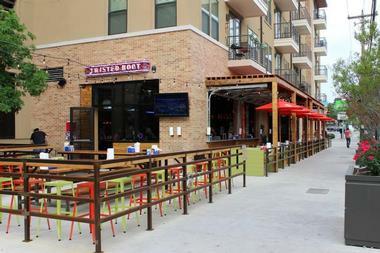 Slater's 50/50 is a design-it-yourself burger establishment with several restaurants in California. Slater's primarily serves burgers, but their menu also boasts wings, salads, desserts, and thick milkshakes. Slater's specialty is the 50/50 burger, a 1/4-pound patty topped with avocado, hot pepper jack cheese, an egg, and brioche. Some of their other unique burgers include the pizza burger, the Sriracha burger, the breakfast burrito burger, and the bison and bacon burger. For drinks, Slater's 50/50 offers special house-made lemonades and a wide variety of beers. Slater's 50/50 also holds weekly trivia nights at each of its locations, making the restaurant an ideal outing for family and friends. Founded in 1986, the first Checker's restaurant opened in Mobile, Alabama. Hamburgers, cheeseburgers, hot dogs, and sandwiches are the main menu options at Checker's. Checker's quickly gained popularity for its unique double drive-in, where two cars could pass through simultaneously. Along with classic drive-in food, Checker's has a long Cold Creations menu with sundaes, soft-serve cones, and thick milkshakes. The value menu has plenty of options for side dishes, drinks, and other quick bites to eat. 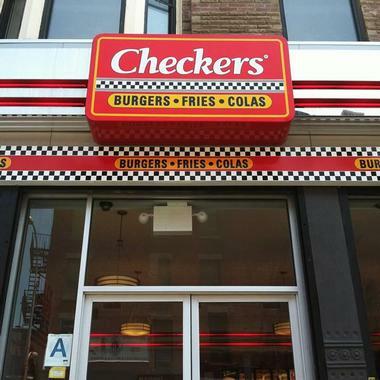 There are more than 800 Checker's restaurants in the United States. With a loan in hand from mom, two young brothers started the Habit Burger Grill in Santa Barbara, California in 1969. Focusing on using fresh ingredients, the brothers worked with local farmers to buy only the best tomatoes and lettuce for their hamburgers. Habit Burger's traditional “Charburger” has long been a guest favorite, but the grill has plenty of other items on its menu. 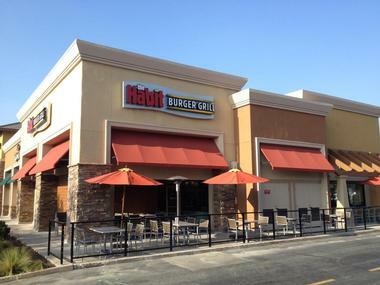 Sandwiches as well as salads loaded with extras like freshly-grilled chicken, bacon bits, and eggs are also available at Habit Burger. Guests can order classic sides like French fries and onion rings, but Habit Burger also serves its own special side dish: fresh-cut green beans deep-fried in a light, buttery batter. One restaurant in 1986, five restaurants in 2002, and 570 restaurants in 2010. This is the exponential path that Five Guys Burgers and Fries has followed since Jerry Murrell and his sons founded the establishment in Ocean City, Virginia. With 17 toppings to choose from, Five Guys allows its patrons to customize their burgers down to the last detail, and serves them alongside fresh fries made from Idaho potatoes. Murrell gets his wide selection of ingredients from the same top-quality vendors he used in 1986. 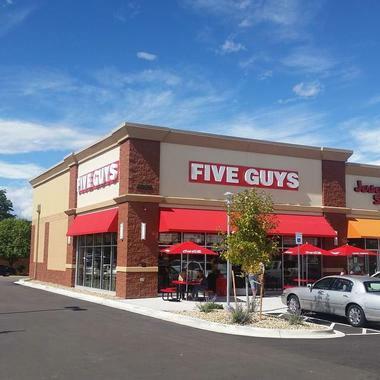 Due to its popularity, Five Guys was growing at a rate of four new franchises per week in 2010. 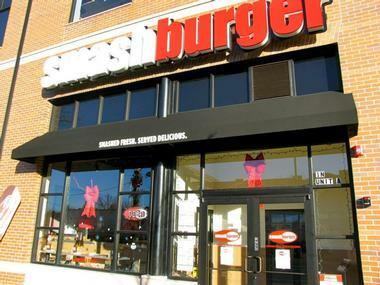 Smashburger started in 2007 with a singular mission: to serve the world's best burger. 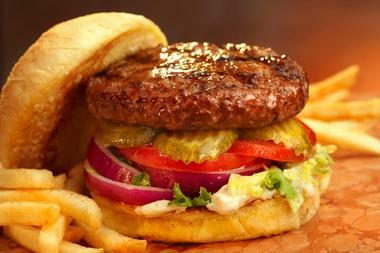 Each of its hamburgers are smashed and seared on the grill and then topped with fresh vegetables, a sauce, and cheese. Smashburger also allows patrons to tailor their burgers with the toppings of their choice. Along with common sides like French fries and onion rings, Smashburger serves healthy options like green beans and carrot sticks. Smashburger has restaurants throughout the United States, and it also operates in Canada, Costa Rica, and other countries. In 1948, Harry Snyder introduced Californians to the concept of a drive-thru burger stand. Even as his first customers placed their orders, Snyder was already thinking up ways to speed up the ordering process. His initial project involved installing a two-way speaker system so that guests didn't even have to leave their cars to order food. In-N-Out derived its iconic name from this innovative change. With a simple menu consisting of a hamburger, a cheeseburger, fries, fountain drinks, and shakes, In-N-Out serves scores of customers each day at its 300 restaurants. 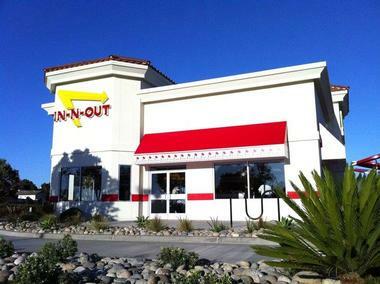 In-N-Out currently operates in California, Utah, Arizona, Nevada, and Texas. With a fully stocked burger bar featuring a variety of sweet and savory fixings, it's no wonder that Fuddruckers restaurants are popping up all over the United States and throughout the world. In addition to allowing you to select your own toppings, Fuddruckers lets customers choose from 1/3, ½, or ¼ lb patties derived from USDA-approved beef. Chicken sandwiches, game burgers, salads, and fish are also available on the menu. 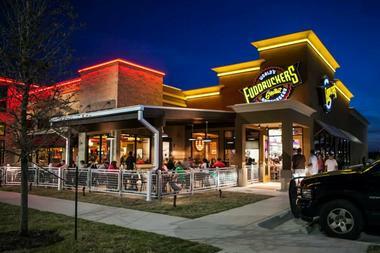 Fuddruckers has restaurants in 13 states as well as Canada, Italy, Mexico, Panama, Puerto Rico and several other countries. 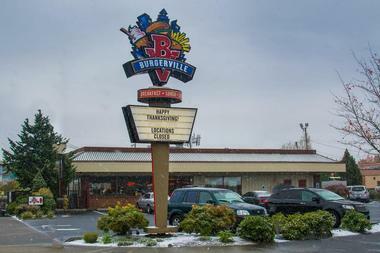 Burgerville was founded in 1961. Now more than 40 restaurants strong, Burgerville is today a staple establishment among communities in Washington State and Oregon. Burgerville serves classic hamburgers and cheeseburgers alongside several specialty items such as the Colossal Cheeseburger, the Tillamook Cheeseburger, and the Pepper Bacon Cheeseburger. Burgerville's Anasazi Bean Burger, available mild or spicy, is an excellent choice for vegetarians. Burgerville takes advantage of its location by offering a seasonal milkshake that changes throughout the year. Additionally, Burgerville's proximity to the coast means that customers can enjoy plenty of fresh, savory seafood items. During 1950 in Wichita, Kansas, Freddy Simon worked with his sons and a restaurateur to perfect the savory steakburger. With slowly-cooked lean meat and a thick, buttered bun, the steakburger remains a Freddy's customer favorite. Along with burgers, Freddy's boasts specialty hot dogs loaded with tasty extras. Freddy's Dirt n' Worms sundae—an ice cream sundae topped with crushed Oreos and gummy worms—is sure to be a hit with the kids. Freddy's has a variety of irresistibly creamy frozen custard dishes, and they even offer their custard by the pint in several flavors. 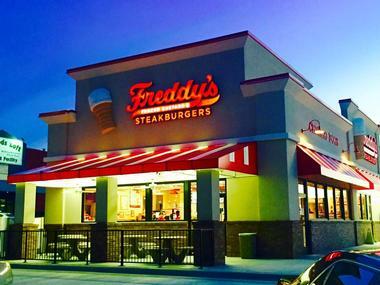 Freddy's has restaurants in almost every state. Hardee's has plenty of menu options for breakfast, lunch, and dinner. Breakfast options include several types of fresh-baked biscuits filled with ham, sausage, bacon, and egg, breakfast burritos with similar ingredients, and French toast meals. For lunch and dinner, Hardee's advertises more than 20 charbroiled burgers on its menu. Aside from French fries, Hardee's also has crispy, flavorful curly fries as well as thick onion rings. Red Burrito, a special portion of Hardee's menu, includes Mexican fare like tacos, quesadillas, and nachos. 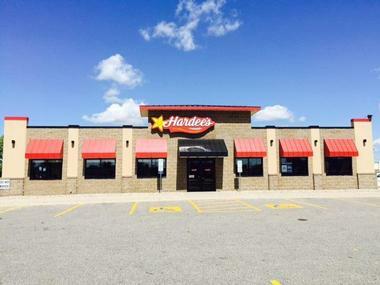 Hardee's has more than 200 restaurants throughout the United States. Essentially Hardee's with a different name, Carl's Jr. has the same robust selection of burgers, sandwiches, side dishes, and breakfast biscuits. They also provide plenty of gluten-free and vegetarian options for visitors with dietary restrictions. Green Burrito, Carl's Jr.'s Mexican food menu, features flavorful tacos, burritos, quesadillas, nachos, and side dishes. 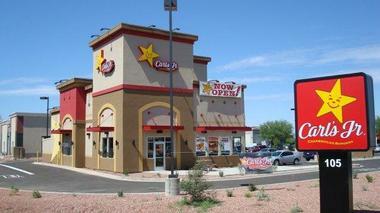 There are more than 1,100 Carl's Jr. restaurants worldwide, and 300 of these restaurants serve the Green Burrito menu items. 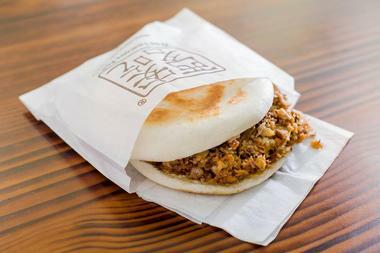 Xi’an Famous Foods, as seen on Anthony Bourdain's television show No Reservations, opened its first store in a small basement of a Flushing, New York shopping center. Now Xi'an Foods has several restaurants in Manhattan, Brooklyn, and Queens. The family-owned establishment has a unique selection of foods from China's Xi'an City, including liangpi “cold skin” noodles, lamb pao mo soup, and “biang biang” noodles. Pork and lamb flatbread burgers, noodle soups, salads, and dumplings are some other specialties available at Xi'an Foods. 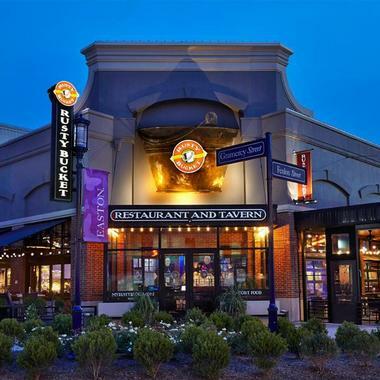 The Rusty Bucket restaurant and tavern serves hearty salads, soups, burgers, sandwiches, pizzas, and pastas. Its wide-ranging menu seeks to satisfy any and all food cravings, and it also includes a variety of options for drinks and desserts. The Rusty Bucket has plenty of gluten-free and vegetarian items on its menu as well. 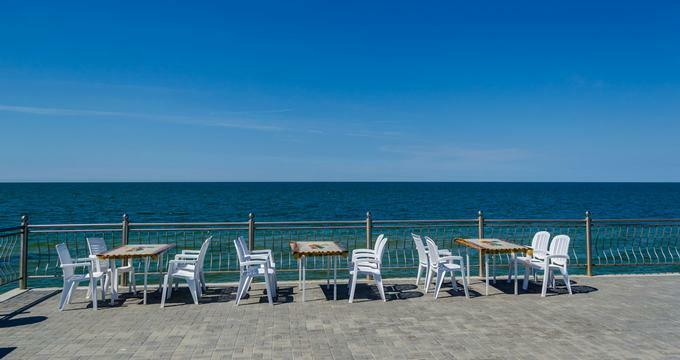 The restaurant was recently recognized for its economic contributions in Michigan, which is now home to four Rusty Bucket establishments. The influx of restaurants has provided Michigan with 200 new jobs. Aside from Michigan, Rusty Bucket has restaurants in Ohio, Indiana, and North Carolina. Carl's Jr., Photo: Carl's Jr.